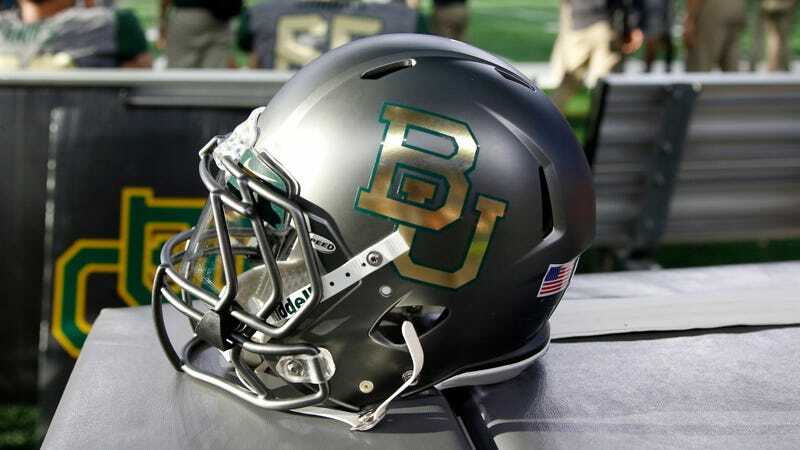 Baylor has fired strength coach Brandon Washington after he was arrested as part of a prostitution sting last week. The sting was first reported late yesterday by the Waco Tribune-Herald, and Baylor announced the assistant football coach’s firing the same day. McLennan County Sheriff Parnell McNamara told the Tribune-Herald that Washington, 33, was arrested shortly after midnight on Saturday, after Washington came to a local hotel to meet a prostitute. He was charged with solicitation of prostitution charge, a class B misdemeanor, and released the same day after posting a $1,000 bond, the newspaper reported. No other information about what happened was reported in local media, and my request for any police reports didn’t get a response back before the end of the business day. After a full criminal background check was completed and cleared, Brandon Washington was recently hired as an assistant in the Football Strength and Conditioning area. Baylor was notified on February 4 of Brandon Washington’s arrest and terminated his employment immediately that day. Art Briles Drops Lawsuit Against Baylor Because He "Wants Some Peace In His Life"